The LP12 arm board is one half of maintaining the integral alignment between the spindle and the tonearm. Great care is taken to align the cartridge and tone arm. If the connection between the sub-chassis and arm board is loose it compromises the alignment between the spindle and the tone arm. 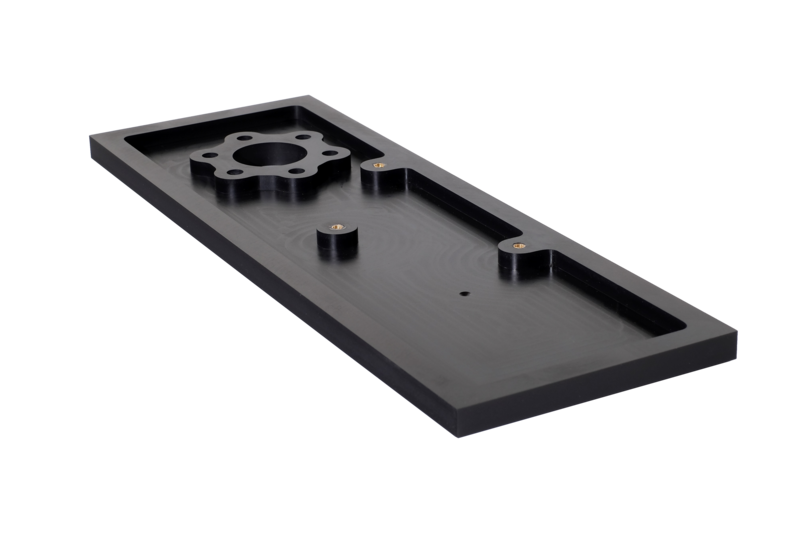 The original LP12 arm board is made from MDF with simple threaded holes that can loosen over time. It is a misconception that it is good to have a slightly loose connection between the sub-chassis and arm board. The importance of a rigid connection has been recognised with the introduction of the expensive one-piece Keel. 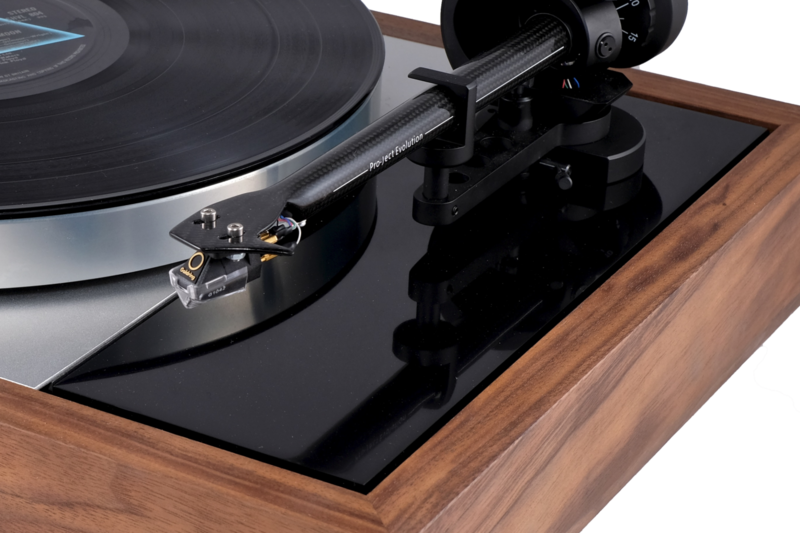 Stack Audio’s aim with the SERENE LP12 upgrades was to enable secure fixings and permanent alignment between the sub-chassis and separate arm boards. To overcome the issue with the simple self-tapping screws in the standard MDF arm board, the SERENE Arm Boards are made from Solid Surface and use threaded metal inserts. 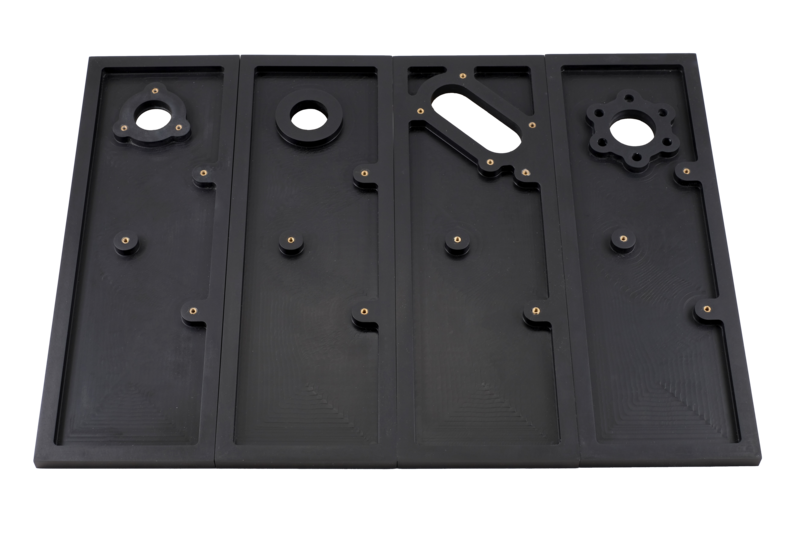 These ensure that the arm board has a secure connection with either a standard sub-chassis or the SERENE Sub-Chassis. The SERENE Arm Board can be removed and re-attached without deteriorating the thread and compromising the long-term quality of the connection. 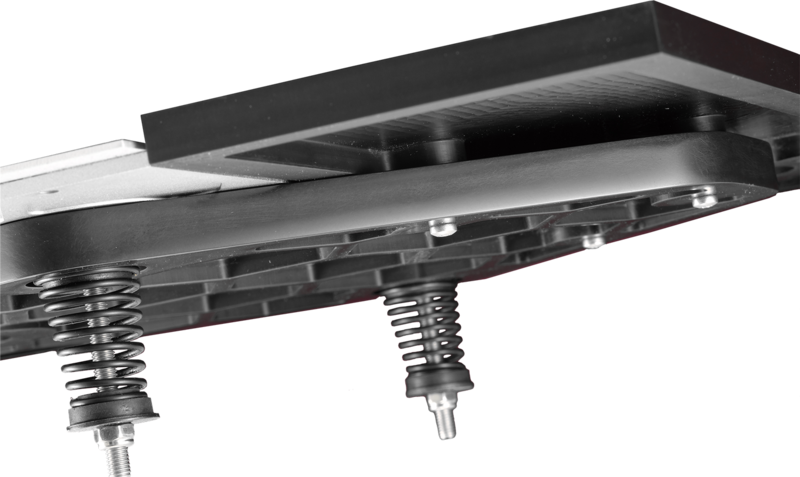 The SERENE Arm Board has been designed so that when combined with either a SERENE Sub-Chassis or original LP12 sub-chassis, it presents the same combined mass for the Sondek’s suspension to work optimally. 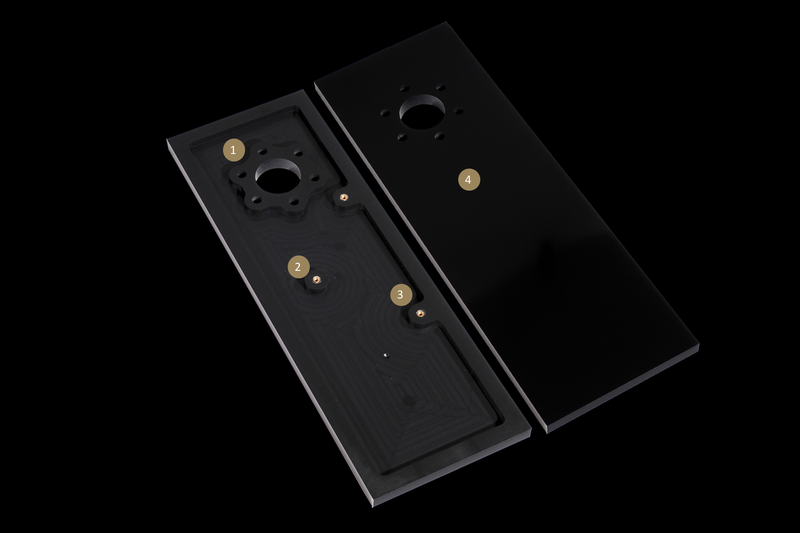 Like the SERENE Sub-Chassis, the SERENE Arm Board is machined from Solid Surface and goes through an 8-step polishing process for a stunning piano black finish. 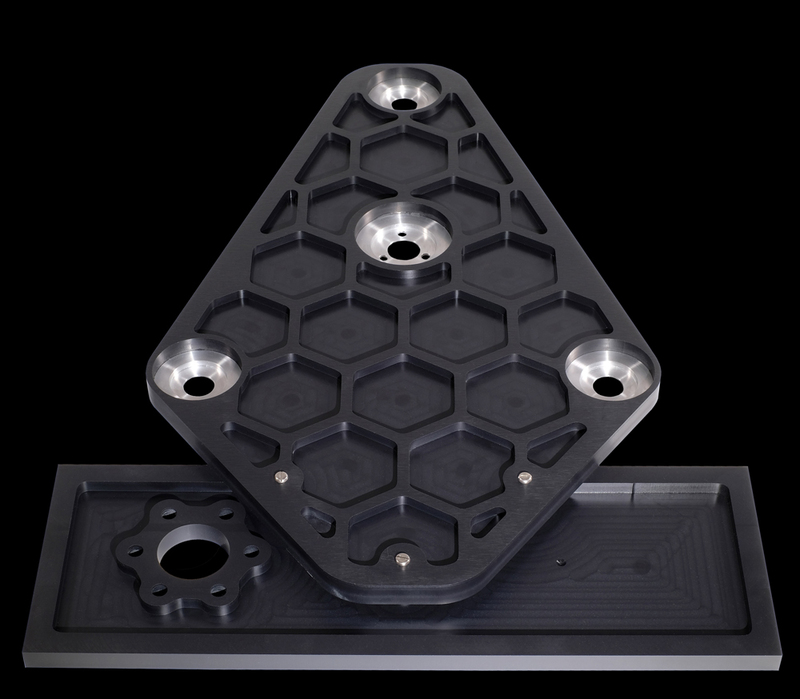 Solid Surface, a composite of acrylic, aluminium and other minerals, is much more resistant to scratching than acrylic alone, important for a highly visible component like the arm board. SERENE Arm Boards are available in Linn, Linn Ittok, Rega, Rega 3 point, SME. The SERENE SME and Rega 3 point Arm Boards use threaded brass inserts enabling the tonearm to be bolted to the board directly without a nut. This makes fitting easier and provides a better all-round connection.